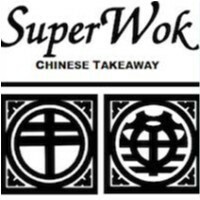 Super Wok Chinese Takeaway joined our Mission to help provide access to “Clean Water for All by 2030”. This Mission was initiated by the United Nations. A big thank you to Super Wok Chinese Takeaway’s team and customers for joining this extremely important mission on 16 September 2018. If you are in the mood for Chinese, Super Wok is the perfect place to find all your favourites. We have everything you love, including noodles, chow mein, chop suey, meat and vegetarian stir-fry, deep-fried meats, fried rice, omelettes and much more. Come in or call ahead to order for takeaway.